In this story, the author supposes what God might say in a personal letter written to a child. The unconditional and unlimited nature of God's love is revealed through simple and lyrical language. Rich and textured illustrations, along with heart-shaped die-cuts, will make this uplifting book a family favorite. It is a great message for little ones on Valentine’s Day, or for everyday inspiration. Love Letter from God will remind children of God’s eternal love and how He demonstrates that love through everyday miracles and by the wonder of His presence. Thanks to the colorful and touching illustrations of Laura Watson, children will also learn how to appreciate their own individuality and how to use their unique gifts to be a blessing to others. 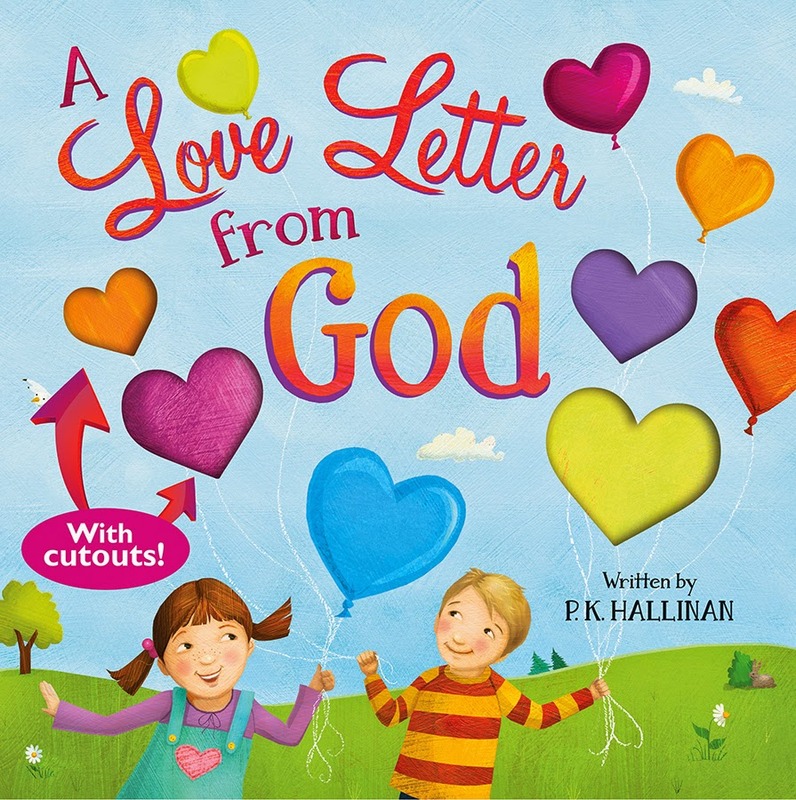 A Love Letter from God is a wonderful book with a great message for children. Every child should know that they are precious and loved by our Heavenly Father. Through rhymes and colorful illustrations, P.K. Hallinan displays God's love in a letter. My son loved flipping through the book and putting his fingers in the cut-outs. The book is hard cover and the pages are more sturdy than regular paper book pages. My favorite part of the book besides the message is the illustrations. The colors are so bright and engaging! I also love how some of the words are bigger than other and in different styles. It's a simply stunning child's book that would be a great Valentine's gift. Be sure to check out this special offer! For the month of January, every book from www.idealsbooks.com with the word “Love” in the title will be 20% off! Be sure to Search “LOVE2015” for a complete list of books. I received this book free from Flyby Promotions to review. Awesome Ocean Science sounds fun. Thank you for the review of A Love Letter from God by P.K. Hallinan. I have never read it, but it looks like a wonderful presentation of God's love. I like that it is very kid appealing with bright colors, textures, and die-cuts. I'm sure that my children would love this! Oh, I forgot to add another book I'd love to own. Five-Minute Bible Devotions for Children: New Testament would be perfect for my us. I would also love I thank God for this day. My son loves Veggie Tales! I would like the Little Hands Art Book!! I would love to own The View at the Zoo book from Ideals Books. I also like The First Christmas Night. I would also love to have God's Amazing World! I thank God for this Day looks cute! I like the book "The First Christmas Night"
Little Hands Art Book looks great! "God is always With you" would be a great book! I also like their book: I Know Jesus Loves Me. Rufus and Ryan Go to Church really looks cute. I would love to have that too. I would like grandma loves you!